The Napster Effect – Does content have value if you don’t protect it? July 16, 2018 It’s taken nearly two decades for the music industry to recover from the detrimental effect that Napster had on the value of music. If you recall, Napster was an internet peer-to-peer file sharing service that enabled a generation to download virtually any song for free, as long as they didn’t mind being branded a pirate. In 1999, a CD cost around $20 and typically there was only a song or two that the listener really cared about. When you’re working a part-time job for $5.00 per hour, that’s a lot to pay for a disk with only a couple songs you like. Then along came Napster, a service that enabled the easy sharing of MP3 audio files. For a large part of the market, the value of music quickly plummeted from $20 a disk to essentially zero. Making things even worse was the widespread complacency in the music industry in response to internet piracy. It wasn’t until a few high-profile musicians stood up and said, via a lawsuit, that music has value and pirating is not only wrong but illegal, that Napster was stopped after operating for nearly three years. And now, 17 years later, the value of music has slowly recovered, albeit with a different distribution model. The lesson from Napster is that if you don’t do what’s necessary to protect the value of your content, then you can expect its value to go to zero. And as the music industry learned, it’s easier to protect the value of content, than to let it go to zero and try to rebuild it. So, is video content in the OTT era the new Napster? We see time and time again, content owners and rightsholders being slow to respond or not doing everything possible to protect the value of their content. For example, they allow their content to be leaked by “grey market” regional OTT broadcasters who attract out of market users who simply change their IP address via a virtual private network (VPN) service. To illustrate, in 2015 the Deutsche Football League [DFL] (responsible for operating the Bundesliga, Germany’s premier league) sold its exclusive domestic broadcast rights to a number of broadcasters in Germany, including Sky Deutschland and Eurosport, for over €1.4 billion. It’s no surprise that the Bundesliga is more popular in Germany than elsewhere in the world, and hence the German fans, through their subscriptions, pay a premium for the content. This “territorial business model” is how most rightsholders price their content since they know content is not valued the same everywhere around the world. And as such, they forecast a large part of their revenues coming from a handful of primary markets to support their production, whether it’s film, TV or live sports. However, DFL also sold the rights to a free-to-air OTT provider in India called HotStar for much less money, with the caveat that they could only broadcast to people in India. It fast became known, and even promoted by the German media, that fans in Germany could access Bundesliga games for free on HotStar by using a VPN (to appear as if they were in India.) HotStar had no incentive to block this since they benefited from more “eyeballs” viewing their ads. With the interests of their best customers in mind – Sky Deutschland and Eurosport – DFL quickly realized that by not enforcing their territorial business model, they were in fact undercutting the value of their content to whatever the secondary markets were willing to pay. This would subsequently affect what domestic broadcasters would likely pay in the future, starting the inevitable erosion of value. 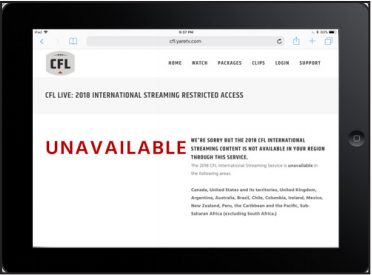 In response, DFL mandated that all free-to-air OTT broadcasts of Bundesliga content must be protected with effective VPN blocking technology to ensure only people who were actually in their licensed territory were able to view the Bundesliga matches, as per their contract. This one move on the part of DFL helped protect their primary market broadcasters as well as the value of their broadcast rights in subsequent years. In fact, DFL said sales of the Bundesliga domestic television rights alone for the 2017-18 to 2020-21 seasons have reached €4.64 billion so far, with the average price per season 85% above current contracts. This Bundesliga example underlines the importance of protecting the value of content, in this case by enforcing territorial licensing with VPN blocking. 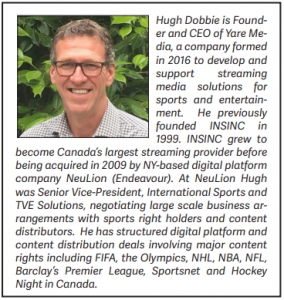 There are similar industry stories regarding the English Premier League and other marque sporting content licensed around the world. All have had to adjust to protect territory obligations. Owners of valuable content need to be aware of the wide spread use of VPNs. While they have tremendous value as tools for securing one’s privacy and security, they are very often used solely for the purposes of masking one’s geographic location to access specialty content. Rights holders beware, otherwise, it’s the Napster effect all over again. And those who do not learn from history are doomed to repeat it.